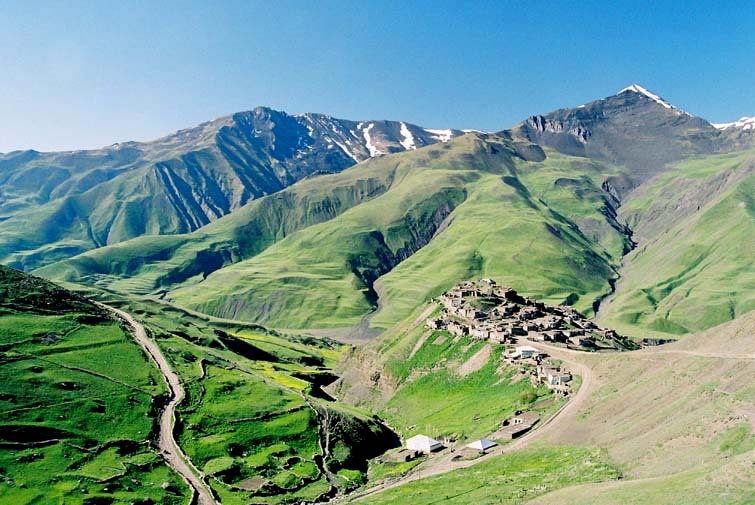 The village is located on a conical mountain peak at an altitude of 2300 meters above sea level. They say that this area is associated with Noah. According to the legend, when Noah saw this tall and flat terrain, he dropped the anchor and told everyone to leave the ark. There are about 380 houses that are 200-300 years old. Since the slopes here are very steep, the houses are built very close to each other. The roof of one house is the courtyard for another one located above. Khinalig people preserved their traditional way of life. Since the villagers are mainly engaged in sheep breeding, the weaving is widespread. Locals are one of the Albanian tribes and they speak a completely original language. Khinalig village known not only for its ancient traditions, but also by the fact that Bigfoot has been seen there.... However, you personally can ask the eyewitness Hunter Babaali Babaaliev about this, when you visit this place.